One must keep in mind the purpose of the Gift of Tongues Project was not to belittle the Renewalist movement. 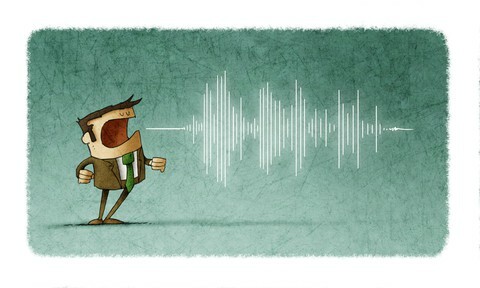 The Renewalist movement has many positives that far outweigh their idea of speaking in tongues. Their contributions in a multitude of areas have made the world a better place. The goal of the Gift of Tongues Project is to study the christian doctrine of tongues from inception until the early 1900s. Renewalists are part of the story among many other contributors throughout the doctrine’s 2000 year history. Since there are millions of people currently invested in the Renewalist practice, one would think interest is high, but in reality, it is small. The rest of the article will show why. The Renewalist contemporary practice of speaking in tongues does not align with the traditional definition. This conclusion was one of the biggest findings of the Gift of Tongues Project. Tongues as a language of adoration, prayer, or worship is a manufactured social phenomenon that is a fairly recent addition to the christian doctrine of tongues (it came after 1906 as a solution to the missionary tongues crisis). It also fits into the Christian retreat into mysticism as a vanguard against the growing threat of empiricism/secularism. What exactly is happening with those who are presently speaking in tongues as a mode of adoration, prayer or worship? It is a psychological and social phenomenon. This conclusion is not a negative portrait but a realm left unexplored. The discussions in these areas are outside the scope of the Gift of Tongues Project. The GOT Project focuses on ecclesiastical literature, language, history, and a bit of theology. The The Gift of Tongues Project was specially designed for Renewalists. Therefore, significant effort was made to reach this audience. Engagement continues to be very low. A Facebook group called the Canadian Pentecostal Research Network— loosely connected with academics and leaders within the Pentecostal Movement in Canada and abroad, had relevant articles from the GOT Project posted there. The cities of Canadian and United States Pentecostal head offices were also targeted with Facebook ads. An internet search brings the majority of people, and I suspect, Pentecostal academics, to this site. Google search is the number one referrer for the GOT Project. When it comes to using a historical keyword combined with tongues, a GOT Project article has a good chance of coming up on the first page of results. A few have kindly liked the articles posted but all have refused to engage in any serious discussion. This is partly due to the fact that they have self-described themselves confined as gatekeepers of the distinctive Pentecostal doctrines. Their constituents give little leeway to show any deference. If one reads between the lines, this circumstance compels most Pentecostal leaders to avoid any tongues discussion that does not reinforce their official doctrine. There is also a serious lack of Pentecostal scholars with a strong education in Greek, Latin, and Hebrew literature, especially anything outside of the Bible. They do not have the collective ability to review or discuss the issue on these grounds. Another reason they withhold comment is because the findings do not intersect with their fields of study. It is outside their comfort zone. The Pentecostal academic community may argue the authenticity of the Gift of Tongues Project on academic merit—I only have a Bachelor’s degree. Consequently, an appeal to anyone for the results of the Gift of Tongues Project cannot be made on academic status. Neither can the GOT Project gain authority on my speaking, leadership, marketing, or networking skills within any religious community. The actual work, the data, the analysis, and the presentation has to stand up to scrutiny and judgement on its own merit. From having surveyed the writings of many Renewalist theologians, this work surpasses any benchmark they have set on pre-1906 research about the christian doctrine of tongues. There is nothing close that matches this work. Perhaps these are wrong assumptions and more dialogue with this community may offer a different outcome. The Charismatic Movement, or its modern child, Third-Wave Churches (Charismatic churches which blend Evangelicalism and Pentecostalism into its faith and worship system) has no identified community of academics or scholars to draw from in building or guarding their theological and historical frameworks. There is no structure to disseminate or discuss ideas such as this on either a national or local scale. There is no anticipated response because of this. Tongues is not high on their list of concerns. Pastors and leaders are struggling daily with issues in their congregation about family issues, death, depression, chemical dependencies, suicide, gender issues and a host of other pressing concerns. They don’t want to add a topic that is relatively unimportant in the greater scheme of things to an already fragile environment. This is a legitimate stance from a pastoral perspective that has to be respected. The Gift of Tongues Project organized a focus group to gauge reader response back in 2007. An invitation was sent to over 50 people in the Renewalist realm. Three sample chapters from a potential publication were given them to review. Surprisingly, the majority of people who attended were not active tongue speakers or even devout Renewalists but the intellectually curious. Website feedback has strengthened the fact that most readers that come to the site are not Renewalists: academics, scholars, Catholics, and the intellectually curious Christians are the ones most engaged in the Gift of Tongues Project. The market is already saturated with superficial information on this topic. The Gift of Tongues Project is an attempt to counter this ignorance with factual source data and detailed analysis. These two factors inevitably mean that the articles are a complex and difficult read. The majority of the articles published within the Gift of Tongues Project fall within a score of 50% in the Flesch–Kincaid_readability_tests. This score means that the average article requires a reading level of college or higher. This eliminates a high percentage of readers. The website also contains a high amount of Greek and Latin texts and references—an approach which appeals only to a small minority. Many readers who see such technical jargon immediately leave. This especially affects members of the Renewalist communities because language study and ancient texts are de-emphasized. The approach of the Gift of Tongues Project is very foreign to them and therefore penetration into their realm of discussions is difficult. On the other hand, the type of readers attracted to this website like the advanced articles about the Greek, Latin and Hebrew languages. These visits equal the amount coming for the Gift of Tongues Project. Today, many Pentecostal churches simply ignore this practice even though it is in their doctrinal statement. A prominent Pentecostal pastor in Canada told me that there are private discussions to remove tongues from the Pentecostal Assemblies of Canada doctrinal statement but there is still some strong resistance that prevents them from approaching the ministerial. On another occasion, a Pentecostal elder told me about his little church in central British Columbia, Canada, that his fellow members resist holy roller leaders or speakers and force them out. So there is some resistance to not only speaking in tongues, but the extreme form of traditional Pentecostalism found a generation or more ago. A prominent Pentecostal church here in Winnipeg has been grandfathering the doctrine. This may be representative of a widespread practice. At least in the 1990s, the elderly could express the religious expression of tongues in the service, but the church does not encourage or teach younger people to do the same. I have not attended this Church in the last decade but I suspect that the public exhibition of speaking in tongues is obsolete within their midst. On the other hand, the topic is a different kettle-of-fish in the Charismatic communities. Charismatics treat the doctrine of tongues as a taboo subject for open discussion. This is because it is a cornerstone to their identity. The inquiry of this doctrine and even doubting the nature means that you are moving away from or no longer a Charismatic. The pendulum may shift if the Pentecostal community takes the lead and removes the doctrine from their statements of faith—even then it may take some time for Charismatics to reevaluate. But something is happening here too. Most have removed it from their Sunday morning services and moved it to a special weeknight one in order to avoid public ridicule. However, the Charismatic Movement is very fragmented and whatever may be happening in one church, the opposite could be happening a block away in another. It is hard to tell, even as one who attends a charismatic church, how the Charismatic Movement will handle this doctrine in the future. Statistics gathered from my use of Facebook ads in relation to The Gift of Tongues Project demonstrate that this is a dead topic with the younger generation. The stats indicate that the practice is of interest for male readers 55 years of age or older. Female readership engagement is not very strong and the answer remains a mystery. In my experience, more women speak in tongues than men, especially in smaller semi-private settings. If one turns to Google Analytics and examines search queries on the topic, they are relatively low. It shows a lack of interest in both the Christian and secular communities on the subject. In short, this peculiar doctrine is extinguishing on its own. The quiet deemphasis is a backdoor for the many church institutions founded on this doctrine to abandon it and move ahead to new directions without controversy and shame. Charismatic Catholic or Anglican movements are outside the scope of this conversation. Thank you for this article, it was somewhat lacking. And thank you for the objective and sober presentation: it could have been a pyromanic affair, but you stayed factual and prudent. I have also noticed how much the tongues are falling down in importance, in my (third wave) church. Since a sort of “reform” in the 2000s, they came progressively to have abandoned tongues in the normal sundays. The last time it happened, the pastor asked for an interpretation, and since there was none, said that it was not a legitimate manifestation. Yet, in worship concerts, it is still a very common practice, as much as in private piety. By the way, it is not because practice may wind down that theory is easily put down. I have seen often defenders of some practices defending dearly a theory that they would never practice, for reasons of religious identity. So yes, a generation to put the issue on the table, and maybe one more generation to solve the debate. Hopefully better than in 1906. I would give my responses in two ways, not as one who speaks in tongues, but as one who grew up as a Pentecostal and would still identify as one. One, most “renewalists” believe in tongues based on interpretation => experience. So for example, my Mom (who is ethnically Thai and only spoke Thai and a bit of English at the time) spoke fluent sentences in Romanian at a Romanian Pentecostal Church (perhaps better to call it an ecstatic utterance). And a Romanian Pentecostal spoke in Thai to her at the same meeting, who most assuredly, did not know any Thai. So thus my mom became a Christian and renounced buddhism. Such stories tend to be common among Pentecostals, well, at least from “back in the day”. Two, based on historical literacy rates and the cost of the production of paper/parchments/what-have-you it should not surprise us if there is no historical record of the renewalist position, it does cast doubt. But it’s hardly definitive. And many protestants hardly see the fallible historical record as authoritative. Perhaps this can help explain part of the lukewarm response to this as well? I do have some methodological questions, but let me spend a few months reading your articles before I say anything more formal. I have found your research of interest in my research. However I think part of your problem with the response of the Renewalists as you call them is that people usually do not respond well when told they are wrong, misguided and stupid. The beautiful Gift given by God that has blessed them. though maybe not always used well, is said to be Socially manufactured ( I do see as an Anthropologist evidence of that) and not a work of the Holy Spirit in an ongoing development towards the future reality of the new Creation ( as a Theologian and Charismatic Mystic I see evidence of that). Your apparent bias can possibly lead to being a turn off and can be seen as a stumbling block to an open discussion. Why is it that it always is that vs this? That is Western dualism. Why can’t it be both, and more, which creates a whole different way of seeing reality( much more Hebrew}. God is One and The Trinity and light is not wave or particle. The Wave camp vs the particle camp, but both and a whole lot more. We are in an ongoing process, where knowledge of the past, present and the future glimpse from God’s Word can help us see it’s development, with the help of what has come before, present discussion and most of all the Enlightenment of God’s Wisdom. Sad to say we see in this present age through a glass darkly and not in the future joy of face to face. Question for you:In the Church of the East liturgy, what does it mean to ” make new harps with our mouths with lips of fire”? Thanks for the comment. As to the Church of the East liturgy, ”make new harps with our mouths with lips of fire,” –I am not sure what this means. If you find more information and background on this quote, please forward it.